Put this house on the top of your list! 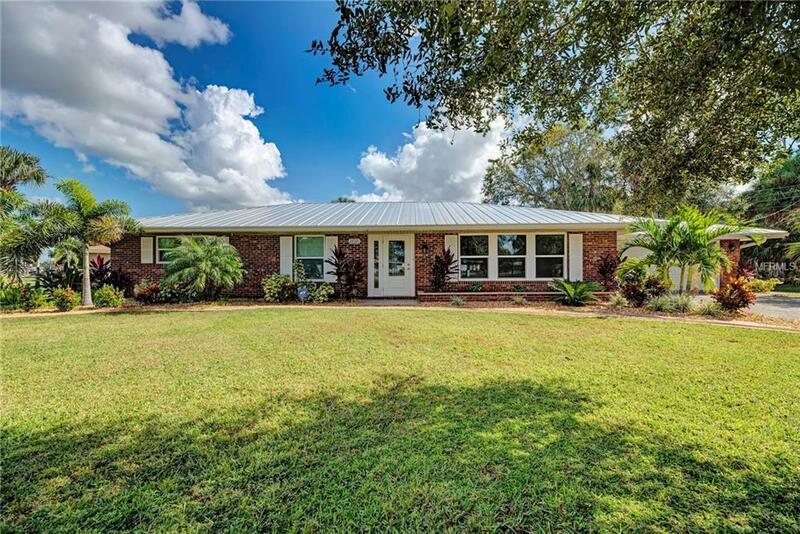 This 3 bedroom, 2 bath, pool home has everything you are looking for! As you walk through the door, you are welcomed by new tile throughout the entire house, including the expansive enclosed porch. Impact Resistant Sliding Glass Doors lead out to your private, fenced backyard with an in ground, heated pool to relax and enjoy the Florida sunshine. Spend time cooking and entertaining in your kitchen with granite countertops and stainless steel appliances. The master bedroom has two separate closets and an on suite bath. There is plenty of room for your guests in the two additional bedrooms and plenty of closet space.This house has New Impact Windows, Skylights and Doors installed 2018. New Metal Roof, New pool heater, pool pump and filter, New irrigation system, New HVAC that includes a humidistat and UV air scrubber, New Electrical panel all installed in 2017. Pool, Pool Cage and Garage door installed 2014. No Flood Insurance required. No HOA or CDD Fees. City water and sewer.The water softener system is owned and conveys with sale of the home. Wind mitigation report from 06/2018 available. TV's, TV mounting brackets and security cameras do not convey with the sale of the home.